Loreal True Foundation contains Micro mineral pigments which are meant to match your skin tone perfectly. The colour range is quite extensive and I'm sure most people will find a colour to suit their skin tone. The foundation is a little different and something I was unaware of until I read the packaging. 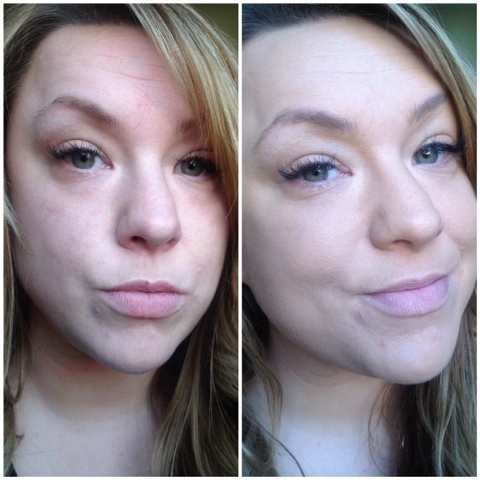 The foundation is supposed to improve your skin making it look smoother, healthier and more even within 2 weeks! True Match is described as " Flawless looking" and " your skin only better". This was a product I had to try! As you can see from the hideous before and after shots above, the foundation does offer really good coverage. Two pumps will create a medium coverage finish and one will create a light natural finish. The texture of the foundation is very runny, much like Mac's Face and Body, so you do need to work quickly or you can find it runs off your hand or off your face! This being said, the light texture is then transferred onto the skin making it feel weightless. I would say the finish is semi matte, not completely matte in a flat unnatural way but with a slight luminosity to it, very unique as I've never used a foundation quite like this before. 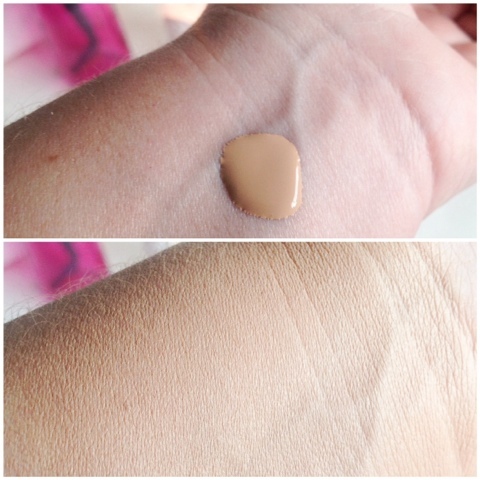 I find on my combination skin the wear time of this foundation is about 6-8 hours, after that it starts to get a bit patchy and wears off around my chin and nose. Overall I'm really pleased with it, its affordable, offers good coverage and is available in a large number of different shades. As for improving my skin.... I can't say I've notice any difference, that's a very big claim to be making Loreal! Lets say I haven't noticed it doing anything bad but I'll keep you all informed if I suddenly see a miraculous difference in my skin! 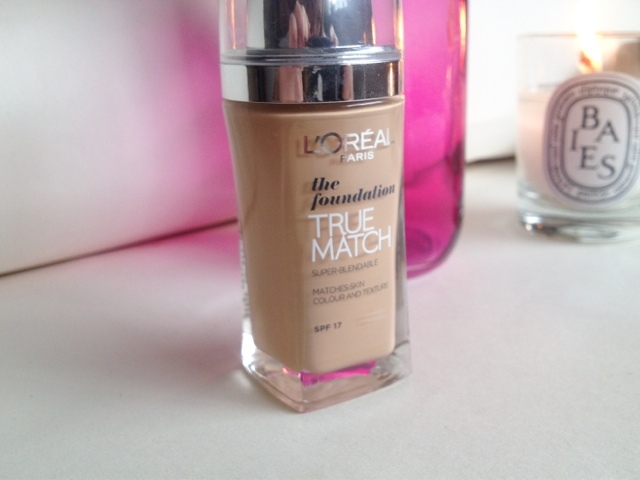 Have you tried Loreal True Match foundation, what did you think to it? 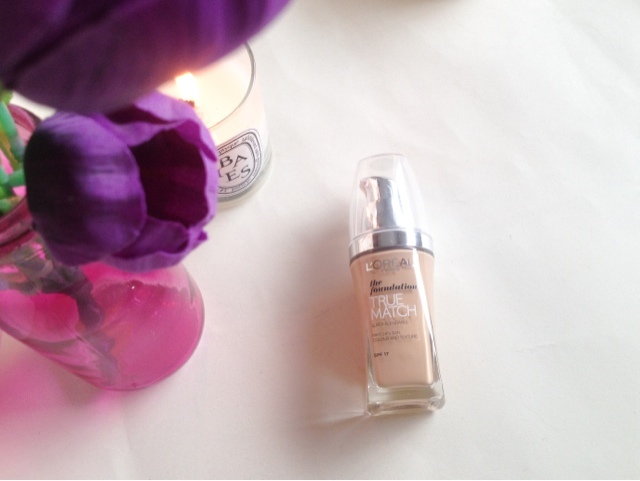 I love this foundation, I think it looks natural yet still gives a lovely finish! Omg The coverage this gives is so natural !!! It also blended into your skin tone SOO well !! Great post,I've been wanting to try a new foundation for quite a while espesh a drugstore foundation,I think I'll give this one a whirl ! !